The coup d’état of the 28th of Mordad in Iran remained the centerpiece for the new imperialism. It was only natural that the US embassy in Tehran became a "nest of spies", as it has been dubbed since then, ‘mission control center’ for all US espionage activity in the Muslim world. 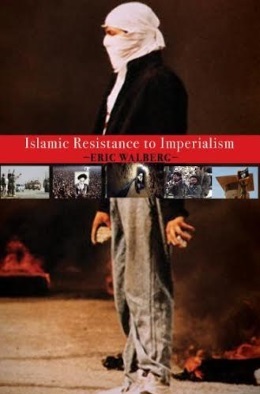 The following is Mr. Walberg’s interview with the English section of Khamenei.ir. What made the US orchestrate the coup d’état of the 28th of Mordad in Iran (August 19, 1953)? It is important to follow the events in the region that the 1953 coup in Iran was part of. 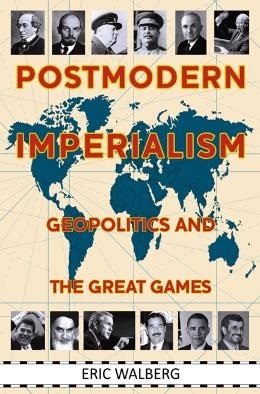 Imperialism has gone through three distinct stages since the term “Great Game” was coined in the nineteenth century to describe the rivalry between imperialist powers, in the first place, Russia and Britain. Imperial strategy was simpler then, but the basic elements were in place. Britain sent spies disguised as surveyors and traders to Afghanistan and Turkestan and, several times, armies to keep the Russians at bay. The ill-fated Anglo-Afghan war of 1839–42 was precipitated by fears that the Russians were encroaching on British interests in India after Russia established a diplomatic and trade presence in Afghanistan. Already by the nineteenth century there was no such thing as neutral territory. The entire world was now a gigantic playing field for the major industrial powers, and Eurasia was the center of this playing field. The coup in 1953 in Iran was a key move in what I refer to as Great Game II: the imperialist powers, now united in a Cold War against socialism and third world liberation, which went into high gear following WWII. As Great Game II began, Soviet and British troops were still occupying Iran. Pro-Soviet elements tried to seize power in the Soviet-occupied north and the Soviet Union hoped that this movement would spread and bring Iran into the anti-colonial camp. The Azerbaijan People’s Government and the Republic of Kurdistan were declared in late 1945, but collapsed when the Soviet forces retreated in 1946. The communists (Tudeh Party) were killed, but National Front Prime Minister Mohammad Mossadegh took a leaf from their book and nationalized the Anglo-Iranian Oil Company in 1951. The CIA vetoed the plan, and instead, organized and paid anti-Mossadegh protesters and street thugs to riot, loot and burn mosques and newspapers in Tehran, leaving almost 300 dead. The CIA team, led by retired army general and Mossadegh’s former interior minister Fazlollah Zahedi, mobilized a few pro-Shah tank regiments to storm the capital and arrest Mossadegh on the pretext that he was a communist. Mossadegh was an avowed anticommunist, and thus, unlike Cuba's Castor a few years later, was unable and unwilling to turn to the Soviet Union for help. The US and Britain re-installed the now thoroughly discredited Shah junior, who dutifully continued the secularization process begun by his father, and proceeded to run Iran as an obedient, secular neocolony of the US, abandoning his father’s attempt to retain a modicum of independence by playing off the imperial powers against each other. The weakness of Britain did not escape the notice of Colonel Abdel-Nasser, who forced them out of Egypt in 1954 and nationalized the Suez Canal in 1956, in a rare win for a periphery player in Great Game II. Encouraged by their 'success' in Iran, British Prime Minister Anthony Eden believed that a British-French-Israeli attack on Egypt would not only remove Nasser, getting back the canal, but would also strengthen the British position vis-à-vis the United States. As early as 1954, Eden had complained that the Americans “want to replace us in Egypt,” indeed, “they want to run the world.” The British and French conspired behind the US back and concocted a ruse—Israel acting on its own with Britain and France coming in to mediate. But it fooled nobody, and the Eisenhower administration forced a humiliating withdrawal on all parties, including—for the first and last time—Israel. Britain once again had bow to US dictate, watching its empire continued to slip away. 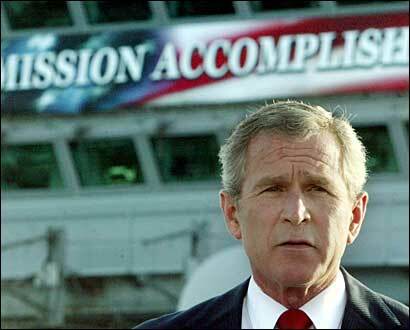 So the coup in Iran remained the centerpiece for the new imperialism. It was only natural that the US embassy in Tehran became a "nest of spies", as it has been dubbed since then, ‘mission control center’ for all US espionage activity in the Muslim world. The Shah was the most reliable US ally in the Muslim world, along with Turkey’s Kemal Ataturk the only Muslim leader who recognized Israel. Did US benefit from the coup d’état? By reinstating the Shah and overthrowing the elected Prime Minister in 1953, the US was using Iran as a warning to other countries in the region to obey the 'rules of the game'. But the coup was not an overwhelming success, as subsequent events in Egypt in 1956 and Cuba in 1959 showed. The CIA was itself aware that the struggle in Iran was far from over. The coup mastermind, CIA spy Donald Wilber, later wrote that the US actually despised the Shah, that the coup was badly managed and would come back to haunt the CIA in Cuba. And in Iran. The US could not prevent the overthrow of the Shah. Carter refused him asylum, and facilitated the return of Ayatollah Khomeini to Iran in 1979, in keeping with the strategy that when a rupture is imminent, it is best to try to control the outcome. To create a grateful (and, hopefully, loyal) new proxy in the Great Game II war against communism. At the same time right next door to Iran, there was another US scheme in full gear: funding Muslim fighters from around the world to fight in Afghanistan, defeating the Soviet Union. The coup thus had very mixed results. Even as the US defeated the Soviet enemy through the Afghan Islamic jihad next door, Iran had its own Islamic revolution. Bush Sr's "New World Order" speech in 1991 would soon be parodied by Bush Jr in Iraq, and Iran would continue to gain strength and respect as the new centerpiece for anti-imperialism. How important is the 28th of Mordad coup d’état as a clear sign of US enmity toward popular democracies and the people of Iran? It stands as one of the 20th century's most infamous example of the disregard of the US and the West for genuine people's democracy. At the same time, the US was able to use its 'soft power' muscles against the democratic forces in post-WWII Europe. They were pushed aside through the bribery of the US-funded Marshall Plan, which undermined (blackmailed) progressive governments, into towing the line. An "Iron Curtain" was declared, isolating the socialist countries, even though the Soviet Union had been devastated in the war, and had done most of the fighting against the fascists. As for Iran, it was denied the use of its oil and other wealth to help its people. Instead, the Shah built a cruel fantasy world, suppressing genuine Islamic thought, enthusiastically supporting the US and Israel, isolating Iran from its natural allies in the Muslim world. Can we compare the recent coup d’état in Turkey to the 1953 coup in Iran? The logic of both coups follows the logic of empire. Iran was forging a popular independent path in 1953. However, Turkey turned to the US following WWII, as an anti-communism bulwark, joining NATO and working closely with imperialism. Turkey under Prime Minister Erdogan is, in important respects, forging a truly independent path, criticizing the US on many issues, refusing to allow the invasion of Iraq from Turkey in 2003, confronting Israel over the siege of Gaza, working with Russia and Iran in defiance of US wishes, supporting the genuine Islamists in Egypt after the 2011 Arab Spring, initially vetoing the invasion of Libya and Syria. But something changed in 2012. Erdogan dropped his anti-NATO position, undermined the Syria government, supporting the unsuccessful Syria rebels, increasingly dominated by Wahhabi followers who morphed into the "Islamic State of Iraq and the Levant". 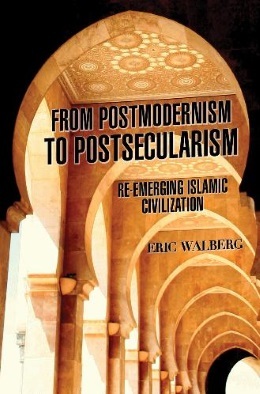 The Wahhabists had learned from their US strategists' use of soft power. They hijacked Islam to attract Muslims fed up with imperialist intrigues. Radical, misguided youth from the West and Saudi Arabia flocked to rebel-held areas in Syria and Iraq. ISIL has somehow managed to find funding and arms, and continues its reign of terror today. Erdogan is reaping the whirlwind now. 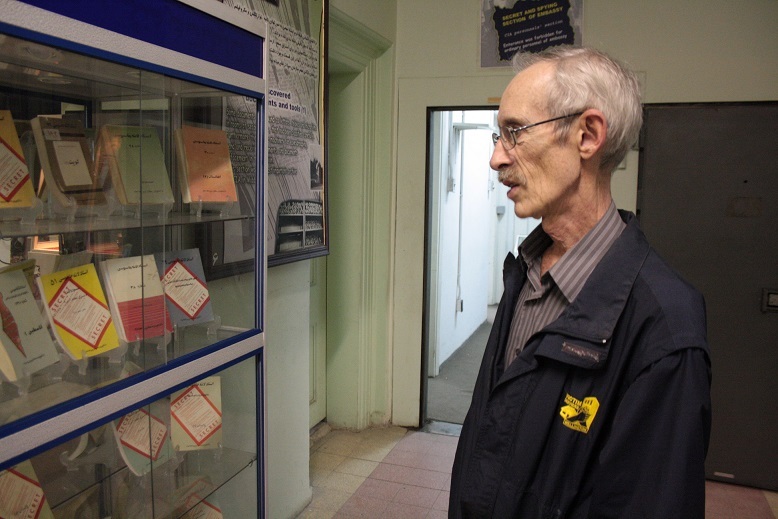 He jumped on the imperial tiger and came close to losing everything, as happened in Iran in 1953. His mistakes had undermined him, and his fellow Islamists, Gulen followers, were eager to work with disaffected elements in the military and secular forces to overthrow the headstrong prime minister. So the situation is much less clear--more hopeful--than in Iran in 1953. Erdogan has the chance that Mossadegh wasn't given. If he acts resolutely and reinforces his alliance with Iran and Russia before it is too late, he can save his Islamic democracy. But if he chooses to be an obedient servant of the US and Europe, this would lead to the same results as if the coup had been successful, as happened with the more dramatic return of the Shah to Iran in 1953. Soft power is always preferable to 'hard power'. So we must await further developments in Turkey before assessing the results of the coup. Will Erdogan stand firm on his principles, like Castro, Chavez, Morales, or, for that matter, Putin? Or will he drift back into the NATO fold, letting the coup forces triumph? Ayatollah Khamenei believes that in the Islamic Republic of Iran, launching a coup d’état is fruitless, considering the fabric of the Islamic Republic. Why is it so? Iran continues to struggle under the intense efforts by the imperialists to subvert it, but the Islamic revolution of 1979 has survived through resolute leadership. First under Ayatollah Khomeini and, since 1989, Ayatollah Khameini. It continues to progress economically and culturally, despite the hostility of the empire. It is thanks to the truth of Islam, Iran's solid faith. That alone can keep Iran out of the empire's clutches.